Mills & Boon provided me with a free review copy of His Convenient Highland Wedding by Janice Preston through their Mills & Boon Insiders program. 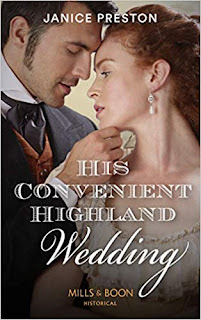 I have been in SUCH a highland romance mood recently, so when His Convenient Highland Wedding by Janice Preston popped up in my Mills & Boon Insiders email I jumped at it, not even reading the description. I loved this book so much, it was a delight to read even if the slow burn was rather frustrating. The start of The Lochmore Legacy – A Scottish castle through the ages! Earl’s daughter Flora McCrieff brought shame on her family once, now she discovers she must wed impossibly rich but low born Lachlan McNeill. He’s undeniably handsome, but a man of few words. Despite the attraction that burns between them, can she reach beyond his impeccable clothing to find the emotions he’s locked away for so long..? 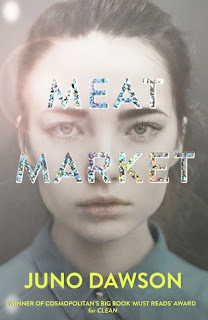 5 Word Review: Family, trust, secrets, business, love. This book takes time to get going, and I don't think I was in the mood to be so patient. I did enjoy the steady build of Flora and Lachlan's relationship, but I didn't enjoy being stuck for the long haul. It felt like the book was almost over by the time it had properly ignited and I would have liked to have read more about them just generally being in love. I really liked Flora's tenacity and drive, and how her confidence blossomed as the story progressed. She's headstrong and knows her own mind, and she's also generous with it. She's smart and savvy and innovative, and I loved how she challenged everyone around her, especially Lachlan. As with every romance, a lot of the issues between the characters could have been solved by them talking to each other, but I do love the way I know that misunderstandings are going to happen. There was a wonderful exploration of family and expectations in the story, and it introduced us to some fantastic characters - in particular proud Anna. I really enjoyed His Convenient Highland Wedding, even if the slow-burn felt excruciatingly slow at times. I'll absolutely read on with the Lochmore Legacy as I want to see what's next, especially for Anna.